We are a highly acclaimed company that offers a wide range of Muriatic Acid. This acid is highly effective and is widely used in domestic as well as commercial sectors. These products are non-toxic and are free from all side effects. Easy to apply, these products are widely demanded all over the country. It is one one of the most corrosive forms of acid and its use goes from swimming pool care to metal and brick cleaning. If you happen to spill some on your clothes, fabrics, varnished furniture, plastics, or most any painted surface, you can say bye-bye to them because it will eat through these things before you're able to wash it off. 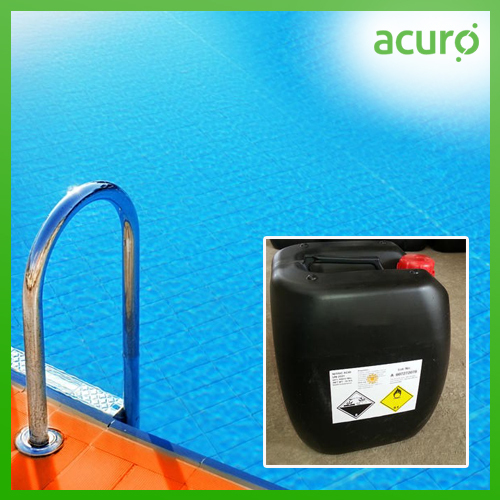 The two main uses for hydrochloric acid is to lower your pool pH and pool alkalinity levels.